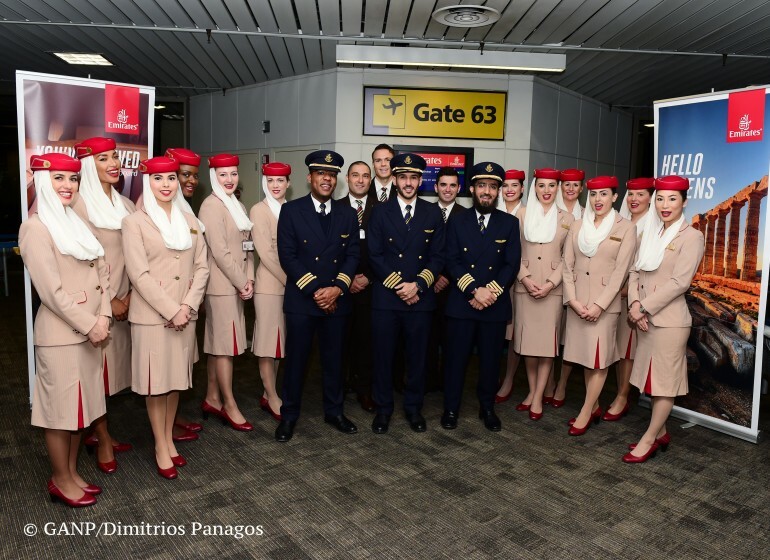 Emirates marks the first year anniversary of its Newark-Athens-Dubai flights this week, reporting healthy demand on the only year-round service between New York and the Greek capital city, Athens. In its first 12 months of operations, Emirates carried over 160,000 passengers between New York and Athens, serving the strong demand from Greek communities and leisure travellers on both sides of the Atlantic throughout the year. The service helped increase the number of passengers on the route by 50% during the summer months between April and August 2017. With flights from both JFK and Newark airports, Emirates presents travellers departing New York with a choice of air services to Athens, Milan, Dubai; and from Dubai, seamless connections to popular destinations not served directly by US carriers – such as Mumbai, Delhi, Calcutta, Hyderabad, Karachi, Lahore, Colombo, Bangkok, the Maldives, Nairobi, and Cape Town. Overall, the airline’s five daily flights from New York’s airports (JFK, EWR) carried over 820,000passengers to Dubai in past 12 months. Konstantinos Koutras ,Consul General of Greece in New York said: “”The Greek community in the tri-state area has always relied on a strong notion of exactly that: “community”. In that sense, discovering the world means connecting with two countries, but a singular sense of self. This sense of self is shaped by the privilege of calling two great countries, two great destinations, “home.” Emirates’ year-round, direct flight connecting Athens and New York brings these two homes together and feels like home itself. The result is a renewed sense of self, ever greater pride, and even deeper appreciation of not just the destination, but also of the journey”. On 1 June, the airline will introduce a new non-stop service from Newark to Dubai, adding to its existing daily flight via Athens and offering travellers the choice of a morning departure from Newark. From 25 March, Emirates will stop operating flight EK207/208, thereby reducing its services at JFK from four to three daily flights. It will retain two non-stop flights a day to Dubai, and one flight a day via Milan, Italy. 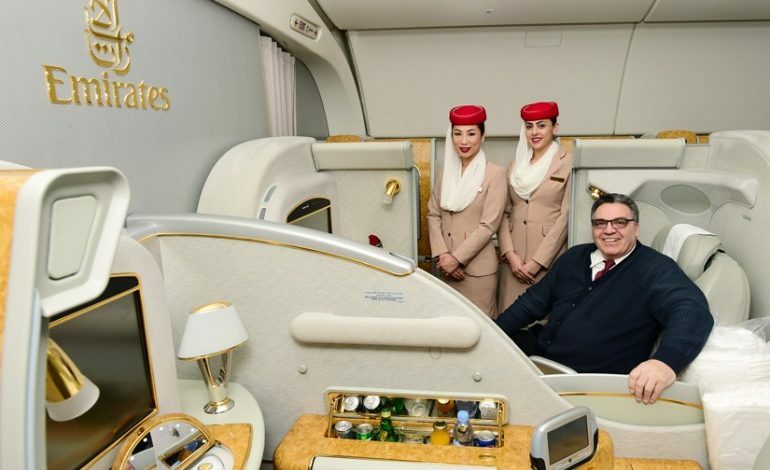 Emirates is the only airline to offer a First Class cabin product on the JFK to Milan route, in addition to its trademark onboard Shower Spas, Onboard Bar, spacious cabins, and other iconic features on its A380 aircraft. Emirates’ JFK to Milan service remains popular with customers, particularly leisure, corporate and business travellers who also enjoy a range of seamless US domestic connections via Emirates’ code share partner JetBlue. With these updates, the total number of Emirates flights serving the New York metropolitan area will remain unchanged at five daily services from 1 June. Emirates serves 12 points in the US, helping to link the world’s largest economy with emerging markets that will further drive American economic growth, trade and job creation. Of the 80-plus destinations on its Middle East, Africa, and Asia Pacific network, 66 are not directly served by any US airline. The breadth of its network between the US and India in particular is unmatched, offering more flights than any other foreign carrier and significantly reduced travel times compared to airlines connecting via European hubs. Emirates operates Boeing 777 and A380 aircraft on its US flights, with both modern wide-body jets offering high levels of comfort and the latest inflight products. Passengers in all cabin classes can enjoy the friendly service from Emirates’ international cabin crew, meals prepared by gourmet chefs, and over 3,000 channels of the latest movies, TV shows and music hits on its award-winning ice inflight entertainment system. Emirates’ fleet is also one of the youngest and most modern in the sky with an average age of just five years, compared to the industry average of over 11 years.